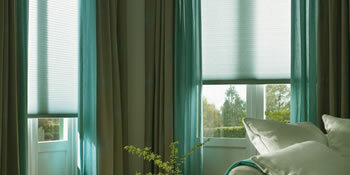 Curtains have always been popular among homeowners, but recently blinds have started to rise into prominence as well. Thermal blinds are perfect for certain areas of your home, in particular the conservatory, kitchen and bathroom. And because of their thermal performance you’ll be able to regulate the temperature in your property, whilst having an installation that looks brilliant. Energy prices have taken a turn for the worse in recent years, increasing significantly to the point where they’re now double the prices of 2004. But with thermal blinds you can lock more heat in your home, ensuring you don’t need to turn up the thermostat. There are plenty of designs and styles available too to set your home apart from the crowd. So you’ll be able to find something that complements your home. Modern blinds are designed with no cord holes as well, to create a sleek and sophisticated appeal for your home. Not only do they look fantastic, but they help to keep your home warm in winter and cool in summer. Project: Two thermal blinds for the bathroom and front room. Blackout blind for bedroom. Project: Thermal blinds wanted for lounge and 1 bedroom window 6foot x 54 inches.Could do with a visit for assurance. Project: Thermal roof blinds needed for Edwardian style conservatory measuring approximately 4m x 5m. The below data illustrates the energy performance of houses in Uk. Energy ratings vary from A to G, with A being the most energy-efficient and G being the least efficient. The Energy Performance Certificate (EPC) rating factors heavily when trying to sell your home, as potential buyers will see what amount they're likely to be paying for their heating bills. House improvements including insulation assist to considerably boost a home's EPC rating. There are many types of property in the United Kingdom and the info underneath highlights the type of homes in Uk. Over the country the most common property types tend to be semi-detached and terraced housing, however detached homes, flats and bungalows are also available. The data underneath offers an indication for the number of properties in Uk that are central heated and non-central heated. Properties are heated by a range of sources which reflect how costly annual energy bills will be. Types of central heating include gas, electricity, oil, solid fuel and LPG boilers. Changing exactly how your property is heated can see you with cheaper bills. The information below reveals the spread of homes heated by various fuels. Throughout the UK the most common by far are gas heated homes, followed by electricity and then oil. Biomass central heating boilers are also rising in popularity, heated by environmentally friendly products like wood pellets or agricultural waste.|Houses in Britain are heated up by a number of fuels, which include gas, electricity, oil, solid fuel and LPG boilers. Each fuel has a varying cost associated with it and that means you may find yourself with more affordable energy bills by altering the way your property is heated. Even solar thermal panels are being regarded as by many as a way to lower heating bills for the years to come.